Outsourcing has become a way of life for many businesses, and advertising agencies are no exception. Allowing businesses to focus on growing rather than focusing time, money and effort on tasks that they are not educated in, enables them to grow even faster. Advertising agencies have been taking advantage of outsourcing functions that include web development, mobile app development, eCommerce development and email campaigns. When advertising agencies choose to outsource these functions, they are able to focus on their core business, where their expertise lies, rather than trying to figure out functions that they do not understand. Companies that are forced to focus on web development and other eCommerce functions will need to hire more employees, manage more departments and have higher costs. Outsourcing these functions is a proven way to save time and money, making your business more cost effective as well as productive. Regardless of the size of the ad agency, these functions can be outsourced. Small ad agencies might find high level executives doing tasks that could be handled by employees in a lower position. This takes away the productivity of the functions the executive could be performing in order to increase the sales, profits and productivity of the company. When these companies choose to outsource, they can focus on more important tasks, using their time and money more wisely. Even large ad agencies benefit from outsourcing by decreasing the number of departments they have to manage, keeping their main focus on sales and profit. Besides saving companies time and money, when ad agencies choose to outsource their web development, mobile app development and eCommerce functions, they reap the benefits of the expertise of the outsourced company. Hiring low-level employees might get the task done, but not as efficiently or with the expertise of an outsourced company whose sole specialty is web development. i95Dev is the company that can help you with your outsourcing needs. We have partnered with well-known companies that span the globe, developing effective relationships along the way. 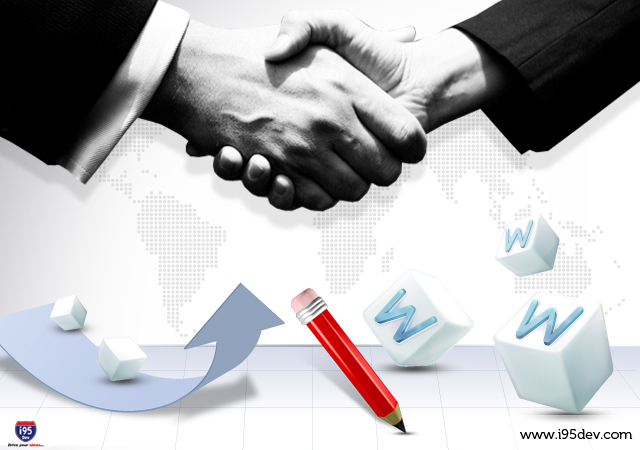 We can be your development partner for web development, eCommerce Development, Mobile App Development and email campaigns. Our education and experience bring your company the expertise that it needs. We will partner with you and help your profits soar.